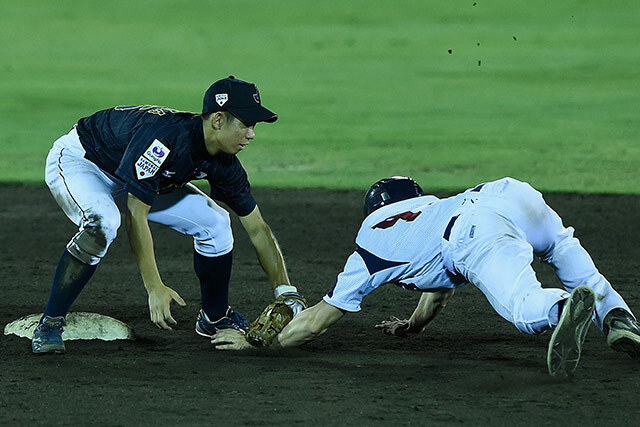 Japan and the United States sealed their places in the super round of the World Baseball Softball Confederation (WBSC) Under-15 Baseball World Cup after extending their winning runs in Iwaki today. Both nations had headed into their fourth matches of the competition with unbeaten records to occupy top spot in their respective pools. Hosts Japan continued to stamp their authority on the tournament by powering away from the Czech Republic, who had been looking for their second victory. The match at Green Stadium would prove to be a one sided affair, with the Japanese team emerging as 15-0 winners. The result ensured them of a top three spot in Group A, ahead of the final set of round robin fixtures tomorrow. Colombia is well placed to join Japan in the super round after beating Australia 12-0, which saw their record move onto three victories and one defeat. South Korea’s 6-3 victory over Cuba could prove crucial in determining the final place, with the two teams boasting two wins and two defeats to date. The South Korean team will feel confident of sealing the final space in the super round, as they play winless Australia tomorrow. After recording their fourth consecutive victory, the US is already into the next phase of the competition. They defeated New Zealand 16-1 to consolidate top spot in Group B, whilst leaving their opponents rooted to the bottom of the standings. Venezuela is well placed in second after their 10-8 triumph over Chinese Taipei, but the South Americans will need to wait to secure their status in the super round. They are being chased down by Mexico and Panama, who both have two wins and two defeats to their names. Panama was able to boost their hopes today by defeating Mexico 5-3.